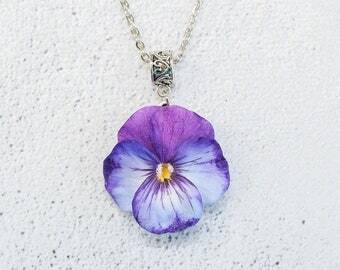 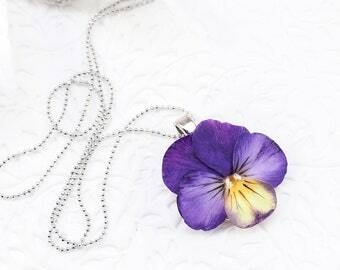 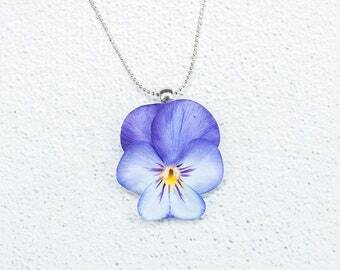 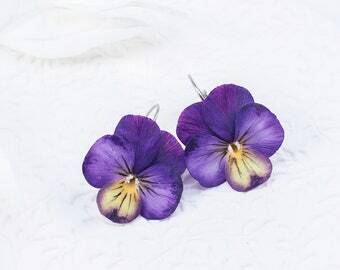 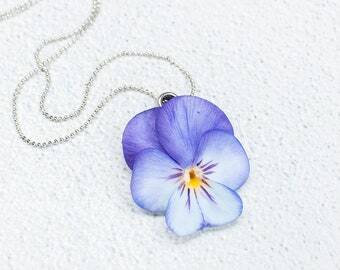 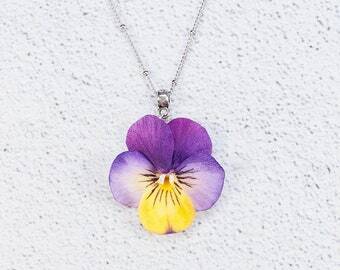 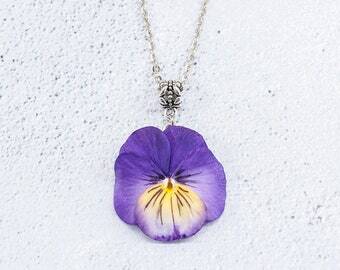 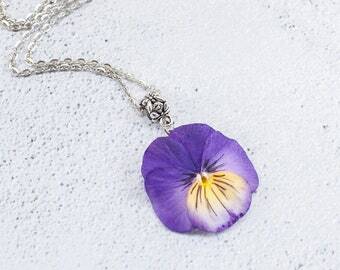 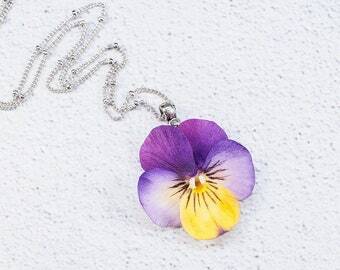 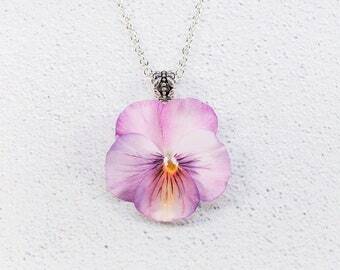 Floral jewelry set with realistic purple yellow pansies eyes will improve your unique and fashionable style. 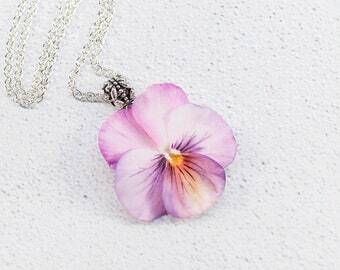 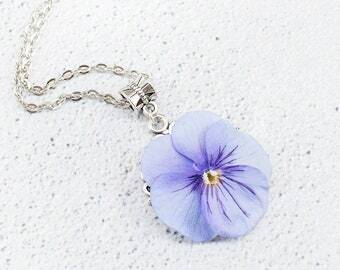 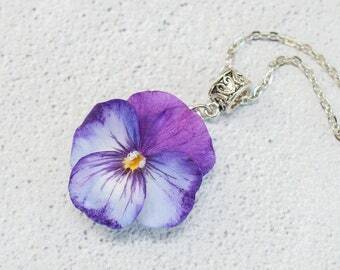 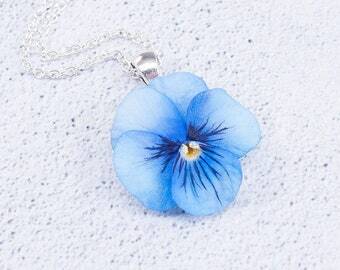 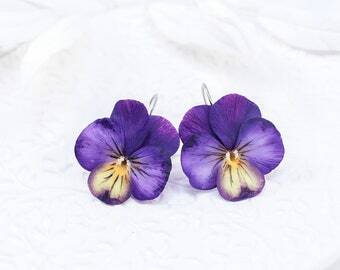 Many girls and women love floral jewelry, so the earrings will be an excellent floral gift. 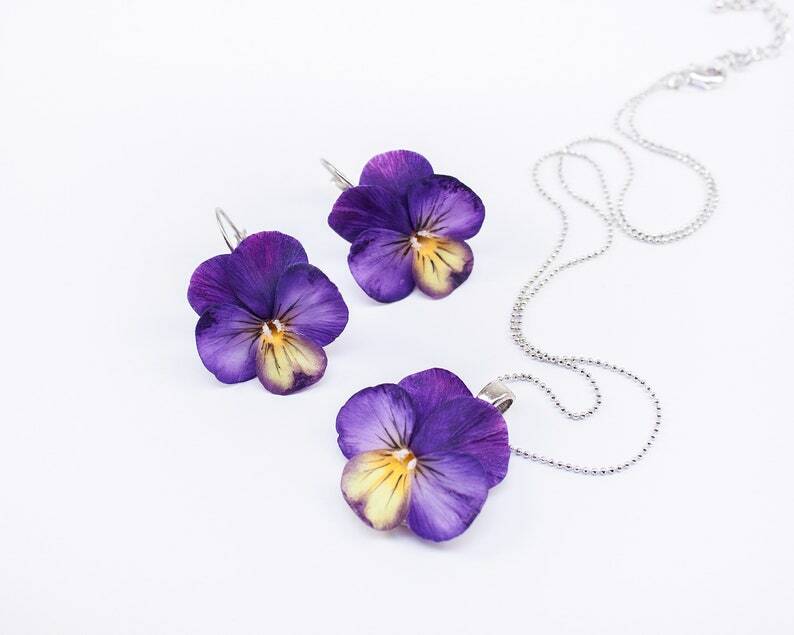 The jewelry set in the photos was sold.